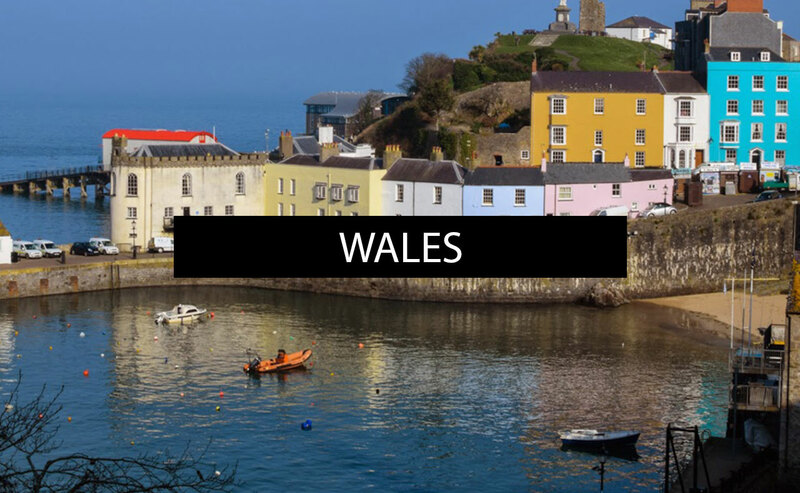 On the 1st June I boarded Royal Caribbean’s brand new cruise ship Anthem of the Seas, ready to set sail for the Canary Islands. 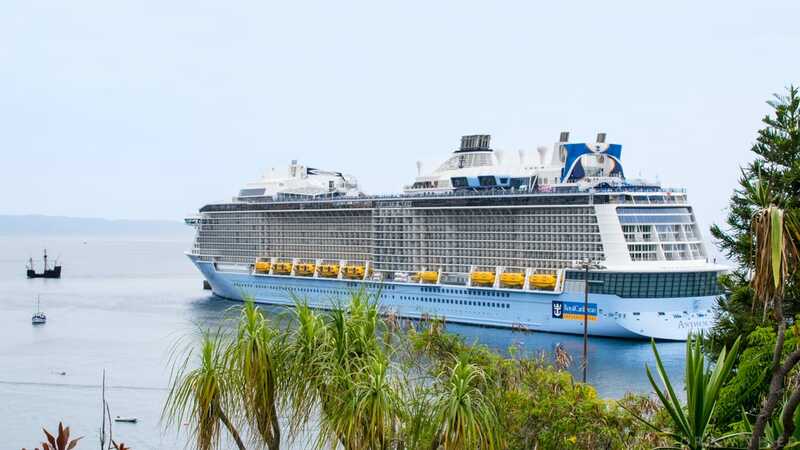 It’s described as an innovative smart ship, weighing over 160,000 tonnes and able to carry over 4,000 passengers to exciting destinations in Europe this summer. 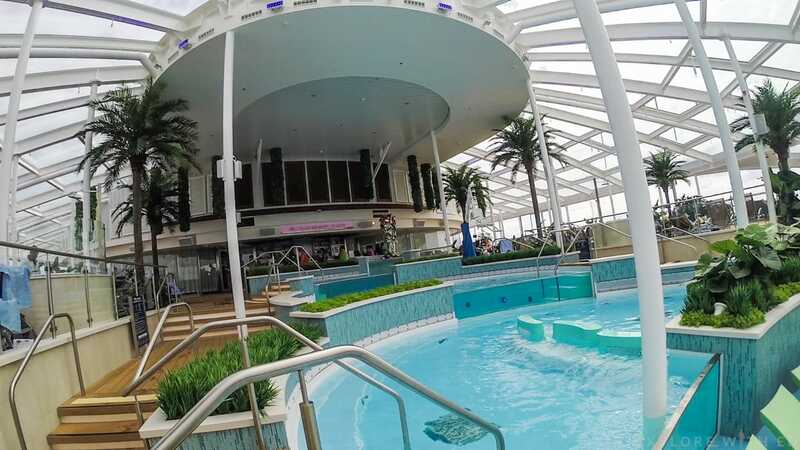 With so many groundbreaking features like indoor skydiving and bumper cars, I was very curious to see if Anthem of the Seas would live to up to the hype following the success of Independence of the Seas in the UK. 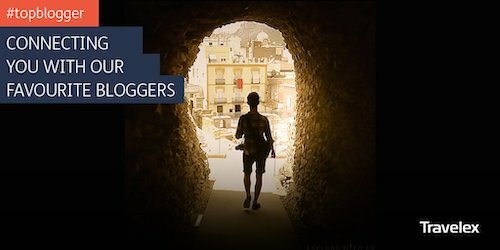 With 13 days onboard and hundreds of pictures taken, read on for my tour and review! When I first explored the ship I was immediately struck by it’s sumptuousness and futuristic design. 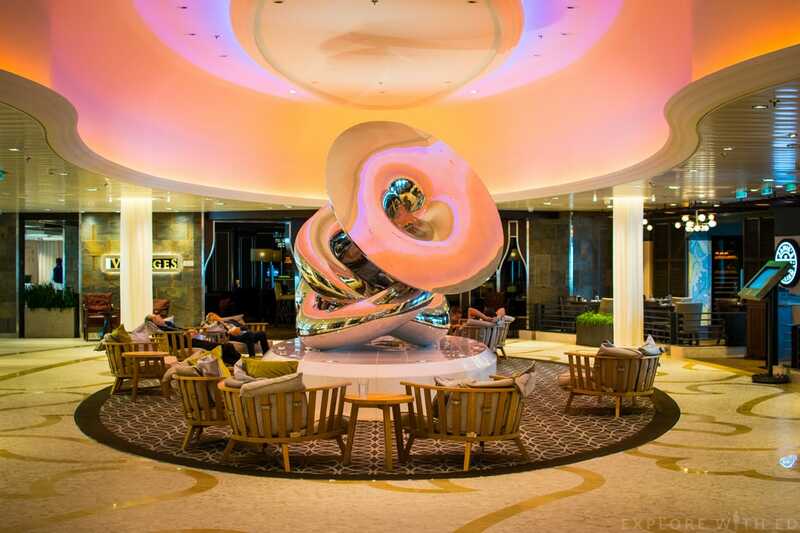 The art onboard Anthem has an inspirational theme, full to the brim with feel-good quotes to “seize the day”, or rather “carpe diem”! I really loved the positive and upbeat image the ship exudes, after all it’s what a holiday is all about! My favourite artwork is the “Pulse Spiral” by Rafael Lozano-Hemmer where you’re invited to place your hands on the sensors and see the 200 light bulbs pulsate to your heartbeat. At the centre of the ship is the Royal Esplanade. 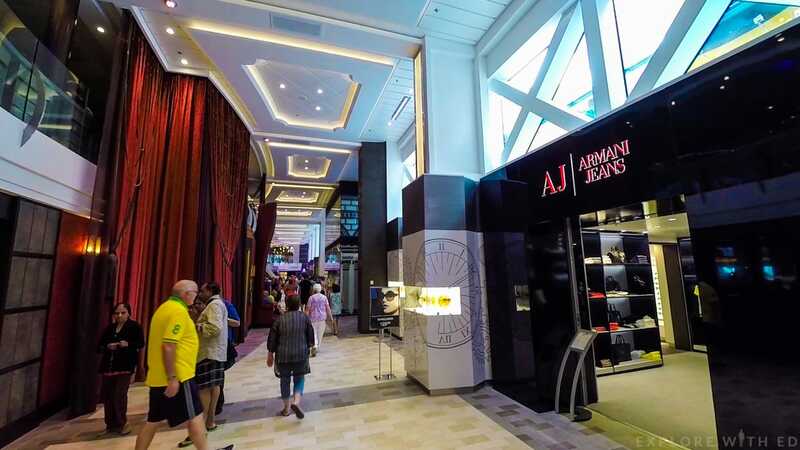 Like the Promenade of previous Royal Caribbean ships it’s a hub of shops, bars and eateries between two decks (four and five). 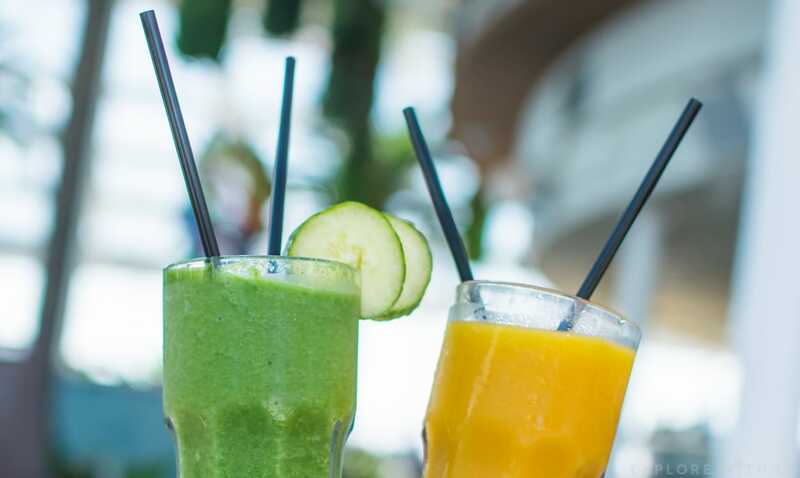 It’s full of atmosphere with latin beats from Boleros bar blending with the buzz of bargain shoppers and Michael’s pub-goers. 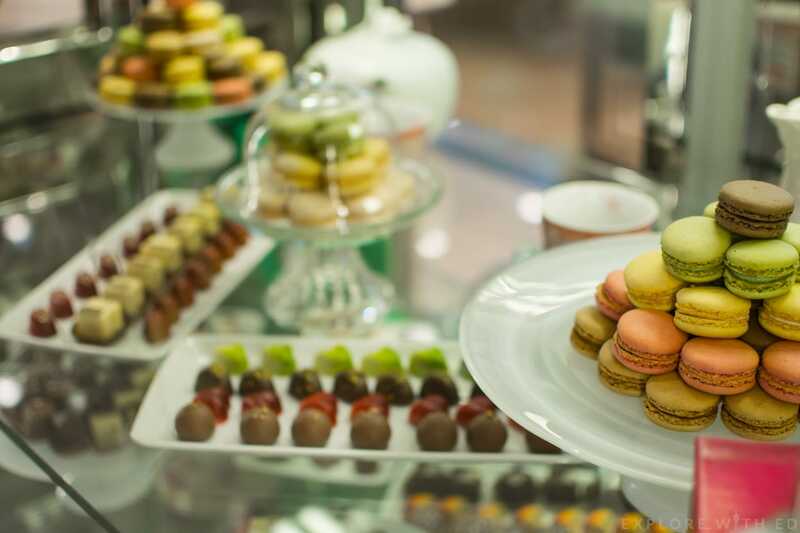 There’s also a variety of designer boutiques like Cartier and Armani Jeans, as well as a pizzeria, café and patisserie where you can sip a frothy Starbucks coffee or tuck into a box of chocolate truffles. 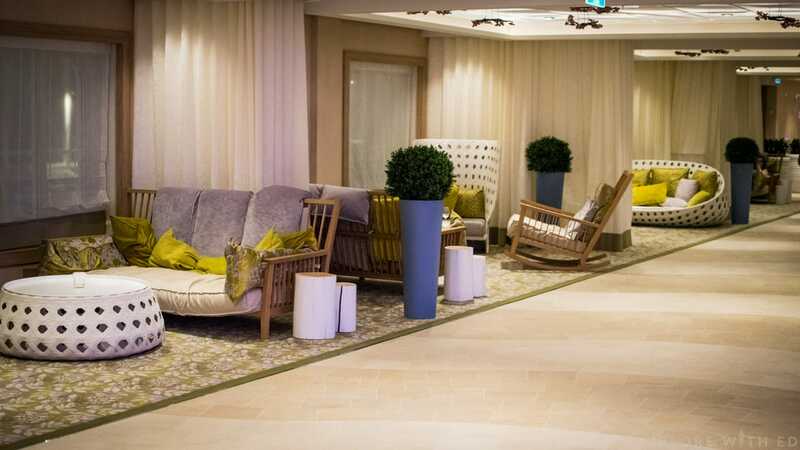 One very noticeable feature on this ship was the fantastic variety of areas you can sit back on the plushest of loungers and really get into holiday-mode. 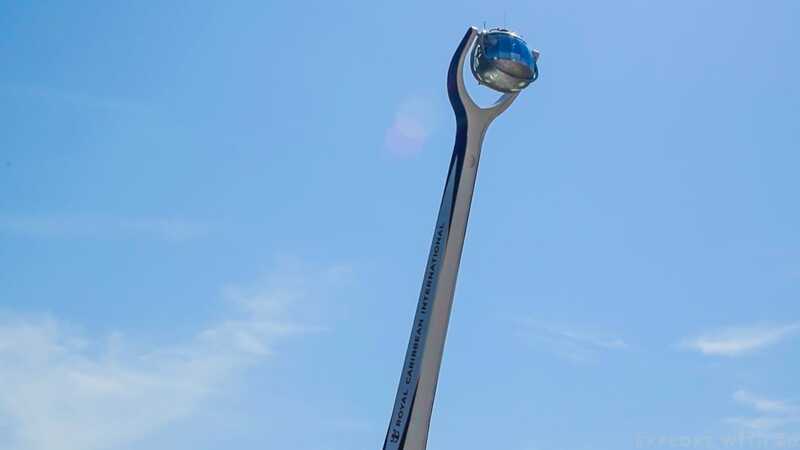 ‘The Via‘ extends from the Esplanade and invites you right up to one of the groundbreaking features onboard the ship, two70. 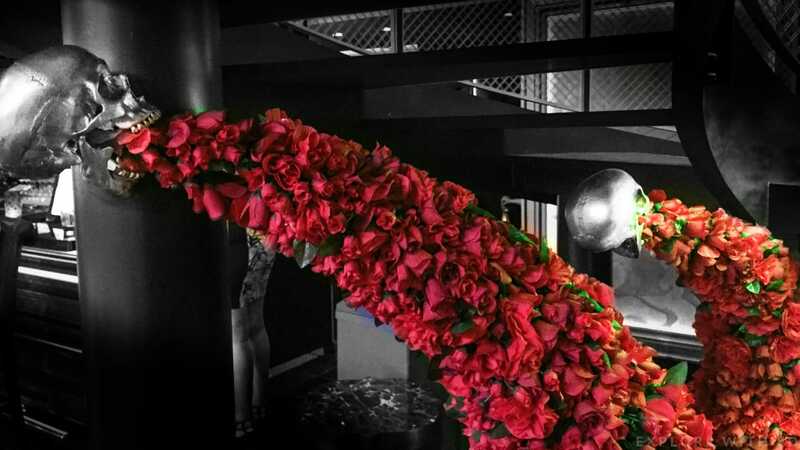 two70 by night – A nightclub experience titled ‘Red’. 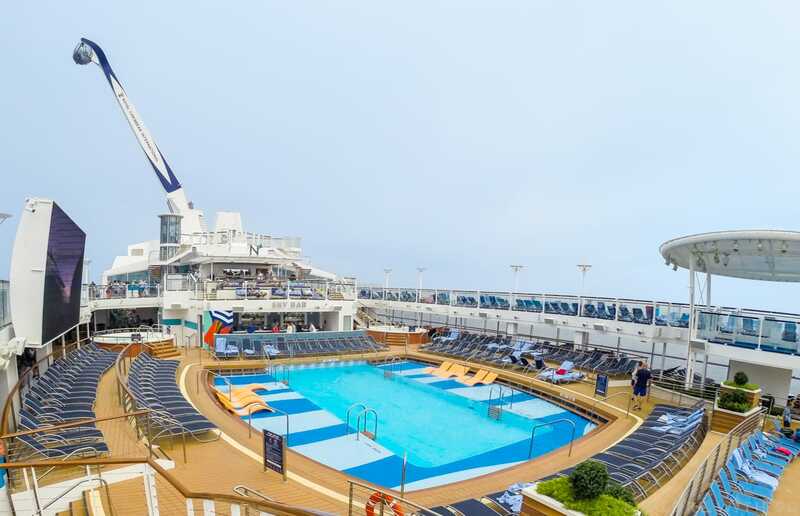 Two70 is a transformative airy lounge that sits at the back of the ship with panoramic views of the sea. 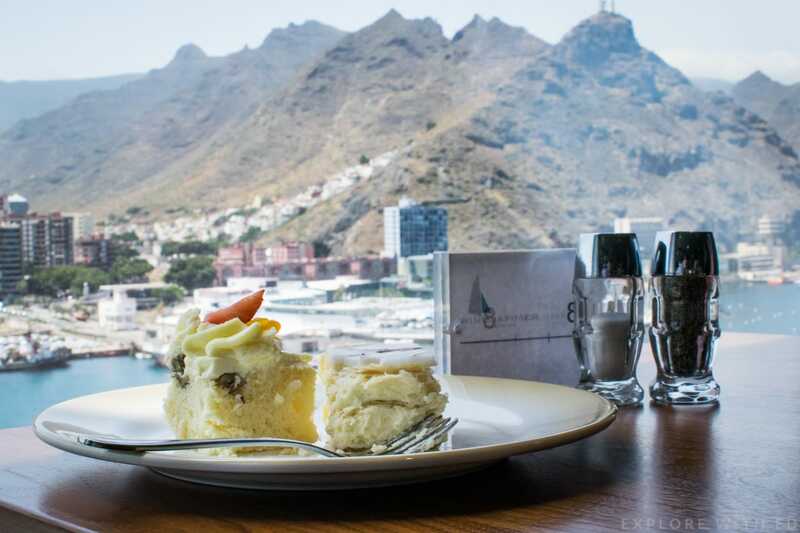 If you’re due to cruise onboard Anthem, it’s a great spot to watch a sail-in over breakfast from Café two70. I think of it as a grand, comfortable living room that hosts quizzes, competitions, cookery demonstrations (and more) by day… and by night morphs into, well, pretty much anything! 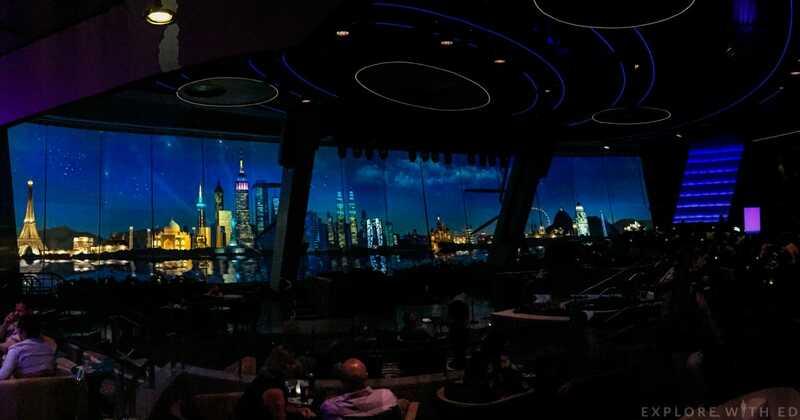 With images projected onto the tall windows, two70’s energy in the evening is very dynamic and completely immersive. My favourite backdrop was this amazing cityscape that gave the room a very cosmopolitan atmosphere. 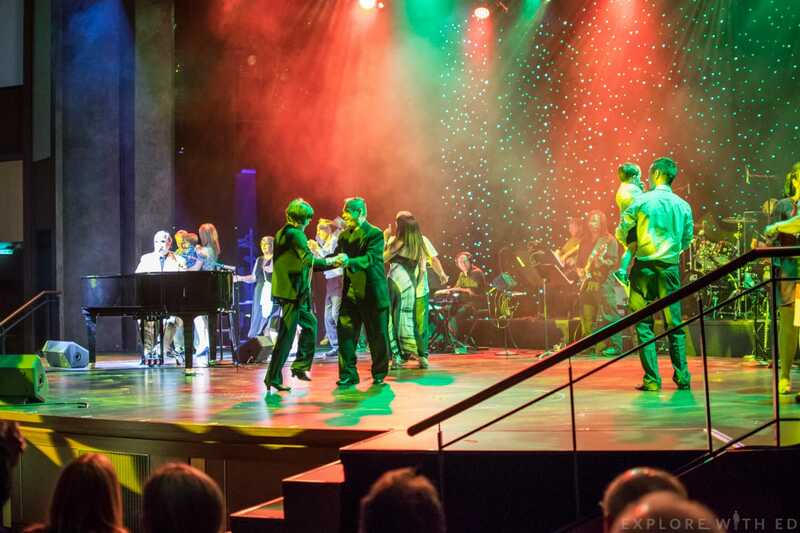 Two70 also hosts some spell-binding shows like Spectra’s Cabaret – a must see! It’s like diving straight into a fantastical, colourful world where acrobats and dancers appear from all directions and take you on an adventure. Royal Theatre: Elton John tribute show by Jonathan Kane. 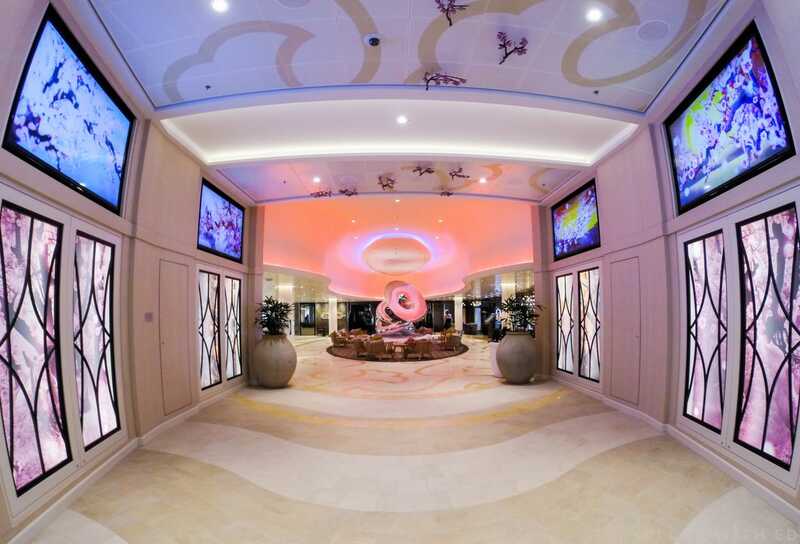 The entertainment options available to you each evening is seriously impressive. 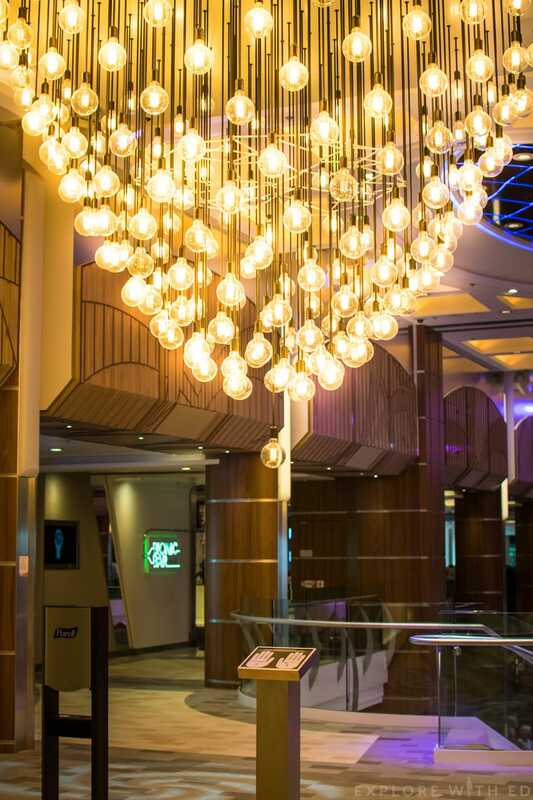 While two70 is eager to enthral you with comedians or dance parties, the Royal Theatre at the other end of the ship is firing up a fist-pumping, feet-stomping evening show, such as their West End musical, We Will Rock You. 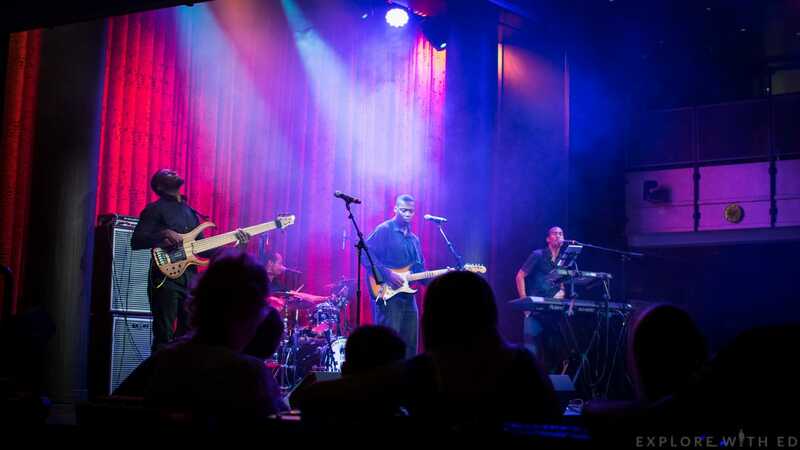 In the Esplanade, you’ll also find the Music Hall – a rock-themed nightclub/bar that hosts karaoke nights and live band music. The onboard talent was really strong, Royal Caribbean have done an incredible job at delivering the cream of the crop to entertain guests on this ship. My favourite was Kevin Orkian, the funniest comedian I’ve ever seen on land or sea, and the audience seemed to agree! 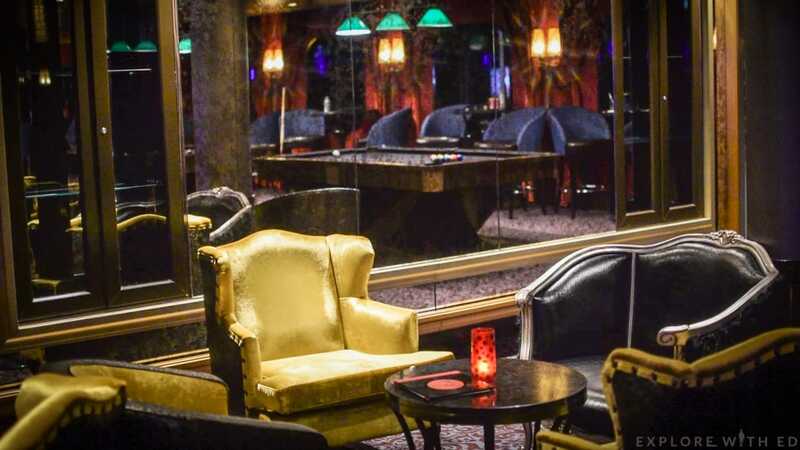 After an evening of laughter and music, there’s a variety of bars to continue to party late into the evening. 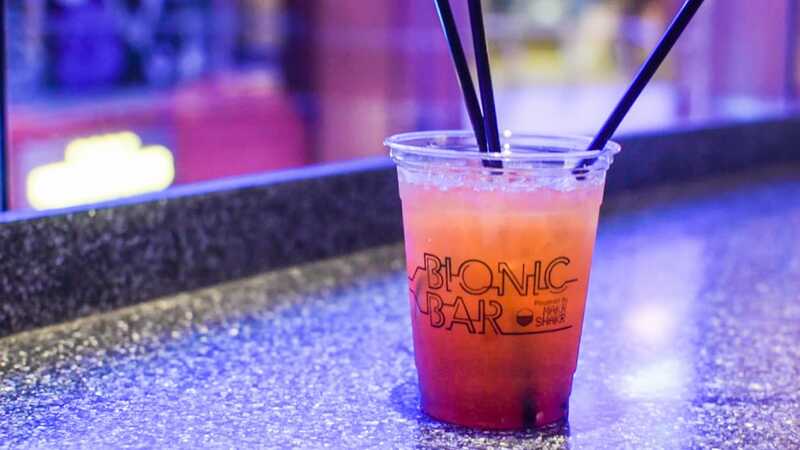 One of my favourites turned out to be Bionic Bar. Before boarding, I billed Bionic Bar as a fun gimmick that shows off the smart technology onboard. In fact, there’s something mesmerising about the robot arms human-like motions and faultless precision. For something you’d think was void of personality is actually very interactive and funky. 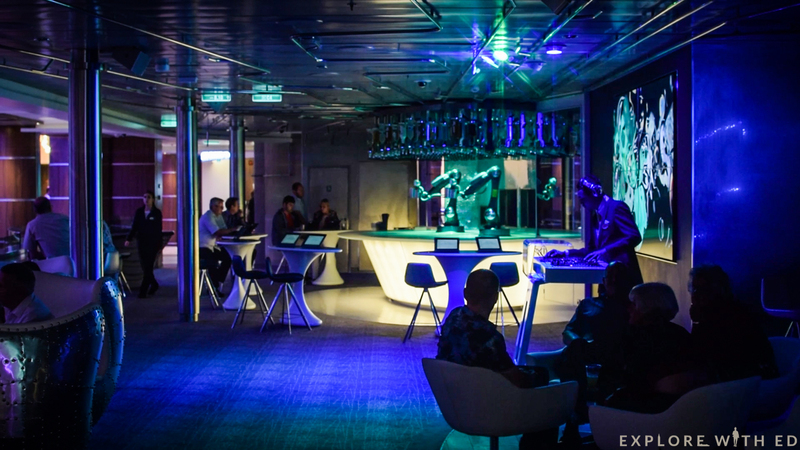 Under the colourful spotlight they dance to the thumping electronic beats from the DJ while waiting for new orders that you customise on touch screen tablets. I can’t help but imagine it as some secret futuristic night club in the heart of Tokyo… I guess it’s appropriate that Izumi (the ship’s Japanese restaurant) sits nearby. One of my favourite speciality restaurants was Jamie’s Italian (see my full review by clicking here.). 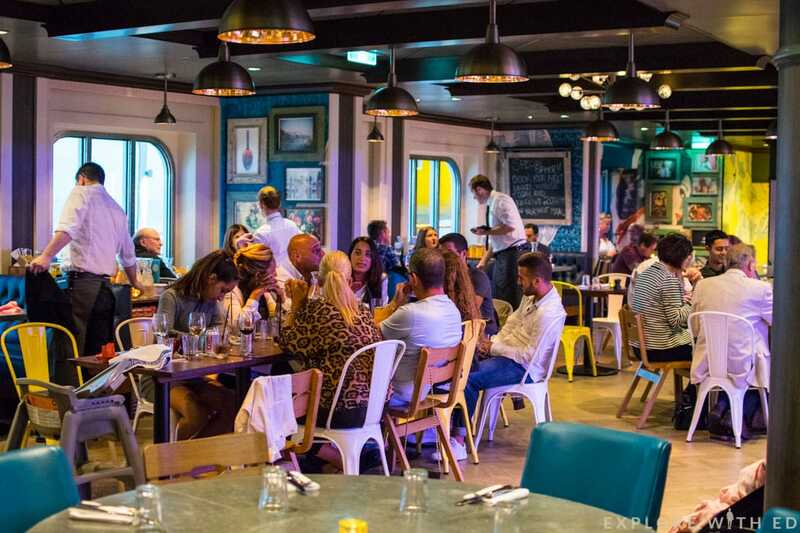 It’s one of the best Italian-dining experiences I’ve ever enjoyed, another being my masterclass in Cardiff with Gennaro Contaldo (mentor to Jamie Oliver) who actually came onboard Anthem of the Seas back in April. 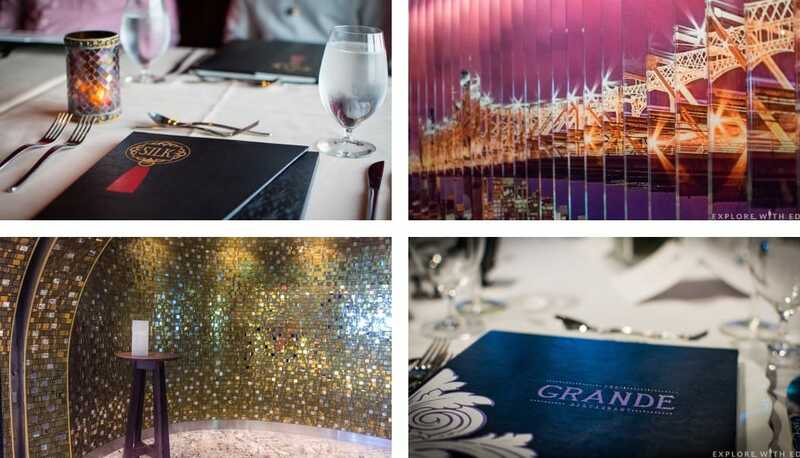 Unlike most cruise-ships (and former Royal Caribbean vessels), Anthem has four complimentary main dining rooms to choose from; Silk, American Icon Grill, Chic and The Grande. I was very interested to see how this would work, and if I liked it better. 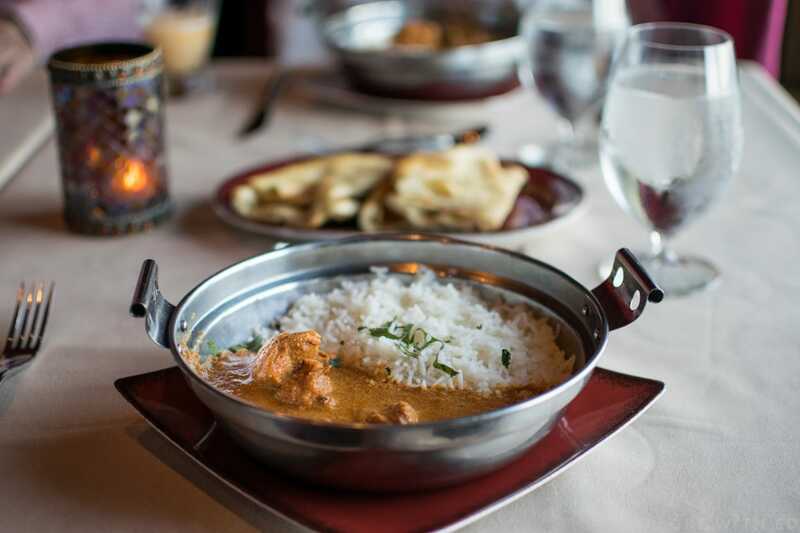 Silk Restaurant – Chicken tikka masala. 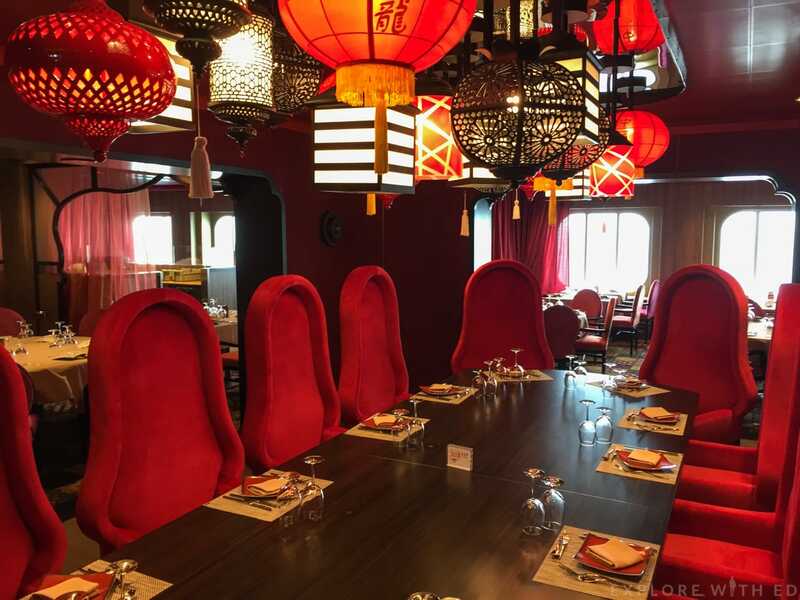 Before you cruise you can book your tables at each restaurant to avoid any queue’s or indecisiveness. If you’re appetite calls for something different on the day, no problem – you just join the no reservation queue (on most occasions we didn’t wait at all). 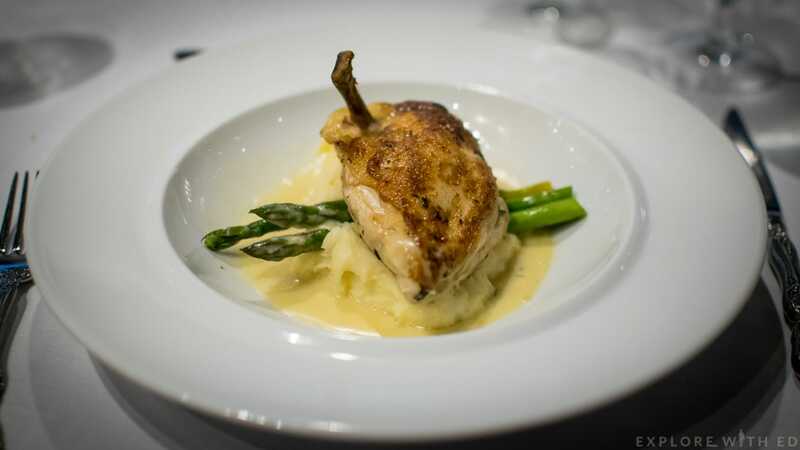 The Grande Restaurant – Roast chicken. It’s named “Dynamic Dining” which I couldn’t sum up better. I really enjoyed the freedom it gave you, and the unique style of each restaurant. 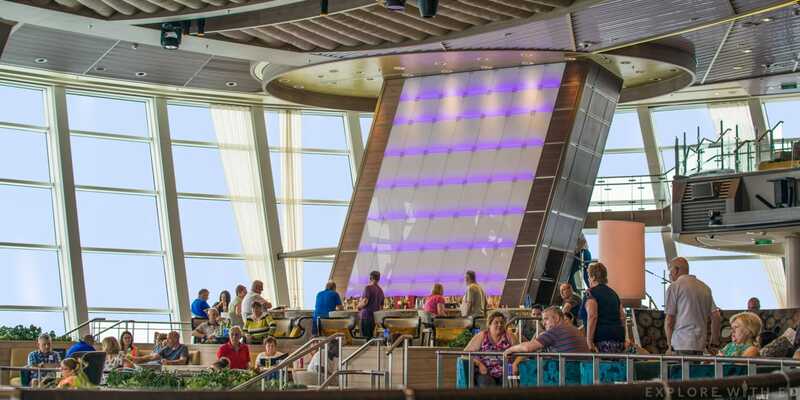 This is only a slice of the 18 dining options available onboard for guests to enjoy! 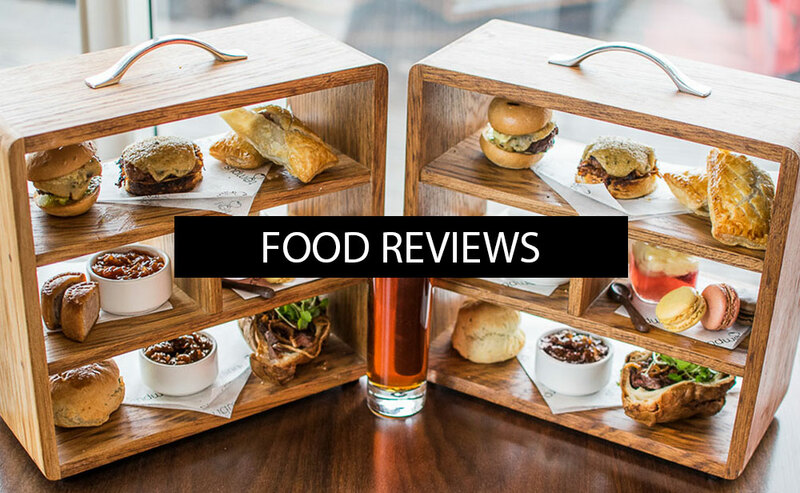 American Icon Grill – The Maryland crab-cakes (a big hit)! 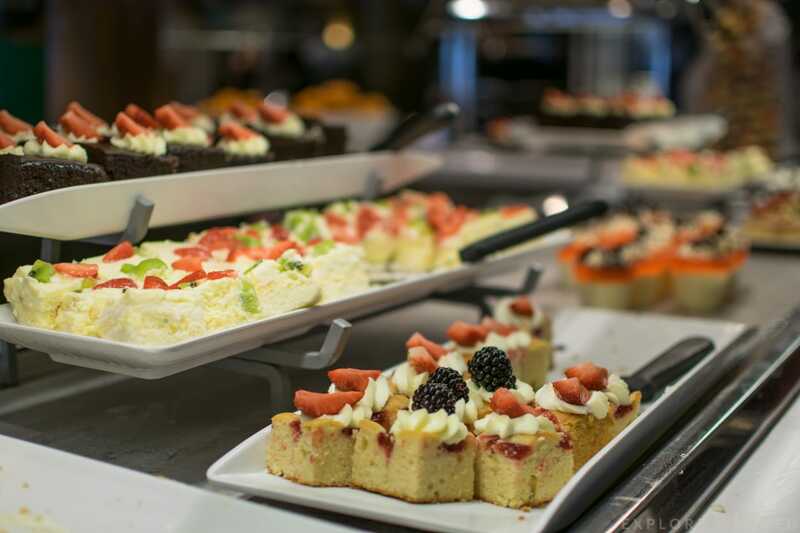 The Windjammer marketplace buffet restaurant on deck 14 is open around the clock and serves everything you could wish for… and then some! Waking up in Vigo (our first port of call) I enjoyed breakfast with views over the hills of Galicia from Windjammer’s terrace. 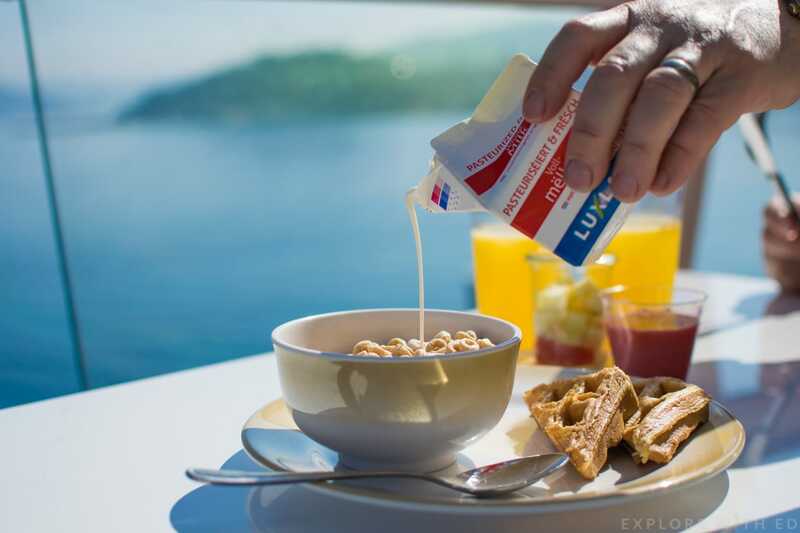 As well as being self-serve, there are stations where chef’s will grill sandwiches, make pasta, crêpes, waffles and eggs in the morning. For lunch I made a habit of conveniently arriving at afternoon tea/snack time (around 3:15) when the chef’s would bring out a selection of bite-size cakes and other sweet treats. They are incredible, I couldn’t get enough and must’ve ate my weight in cake over the 13 days onboard! 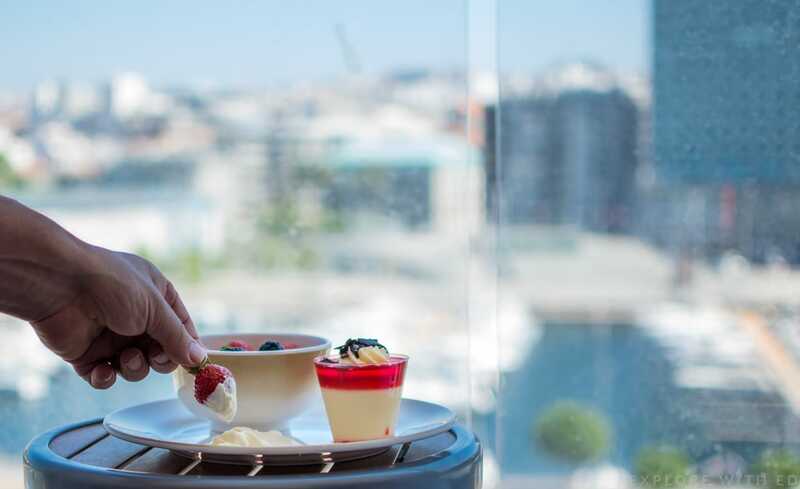 After exploring the hills of Vigo in the hot sunshine I can tell you coming onboard to watch the sail away with strawberries and cream is sweet bliss! That is of course before digging out the swimwear to soak up the Spanish sunshine up on deck. My favourite spot up here was the Solarium. It’s an adult-only tropical retreat with cascading infinity pools, bubbling jacuzzis, cushioned loungers and a cocktail bar. It was an excellent spot to see the spectacular sail out of Lisbon under the 25th April bridge and a late-night Ibiza-themed pool party. As well as the Solarium there’s another all-weather heated family pool, outdoor pool and children’s play area. 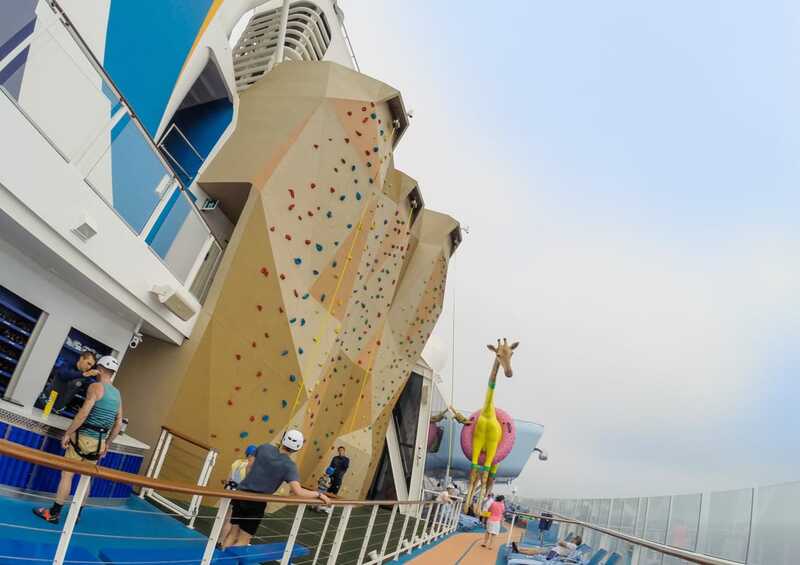 Rock climbing wall and Gigi the giraffe! Another stand out feature one deck above is the North Star. 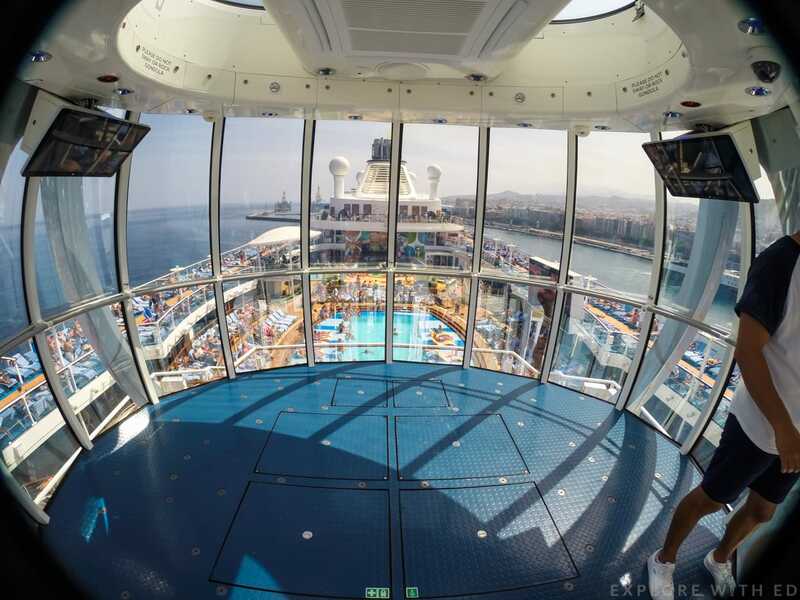 Rising over 300 feet above the sea the air-conditioned pod (similar to the London eye) gives you a spectacular perspective of the ship or port you’re visiting. It’s very popular and each ride takes 14 people and lasts around 15 minutes. Behind North Star is the Seaplex, an indoor sports centre that is really popular with children and teenagers. 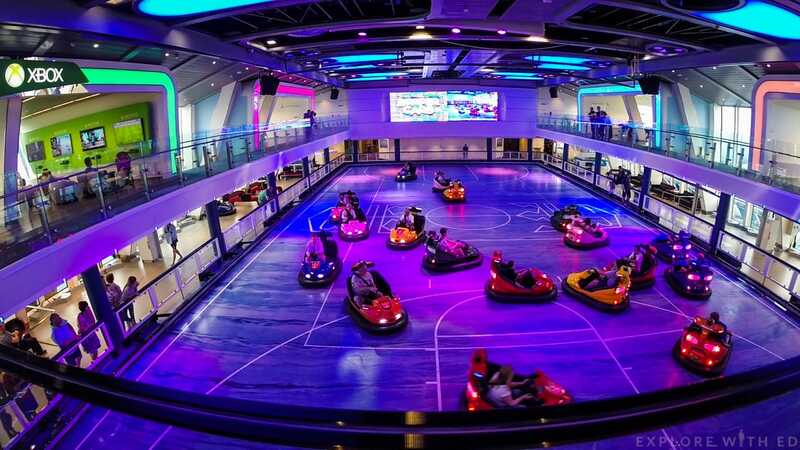 This is a multi-use space that’s a thump of good fun, pop music and bumper cars. The Seaplex also hosts football tournaments, trapeze-classes, roller blading and a X Box Live area for gamers. 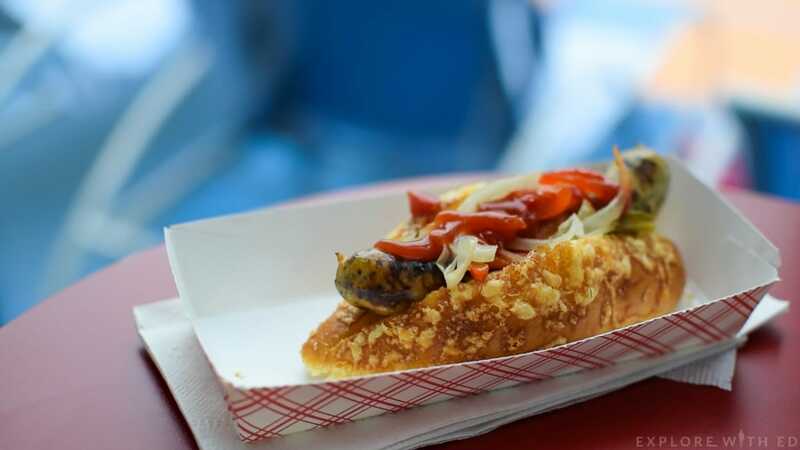 The Seaplex Doghouse, for when you need to refuel! After exploring the tranquil Botanical Gardens in Funchal, Madeira (click here to view), I decided to ramp things up a gear with some indoor sky-diving! 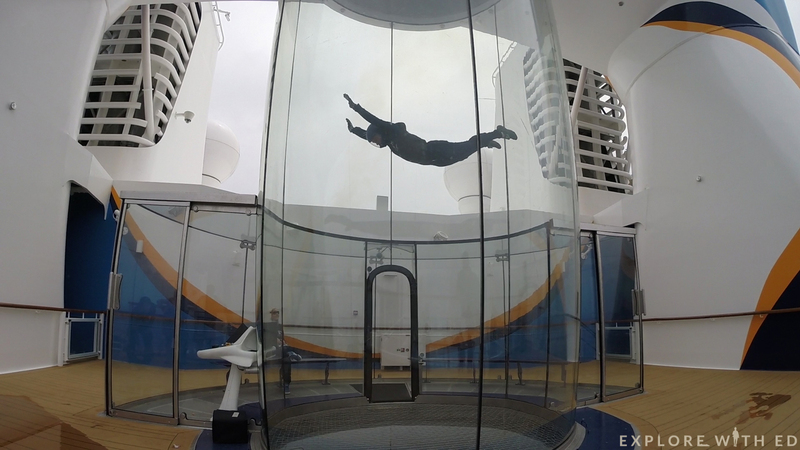 Sitting above the flow-rider surf simulator (a staple of many Royal Caribbean ships), ripcord by iFly is an absolute rush of adrenalin that will certainly appeal to thrill-seekers. Every cruiser gets a complimentary go, so if you consider real sky-diving to fearsome, give this some serious consideration. It was brilliant to see people young and old giving it a try! Above is an example of the stylish, contemporary staterooms onboard – each having a kettle, mini-fridge and large LCD TV. 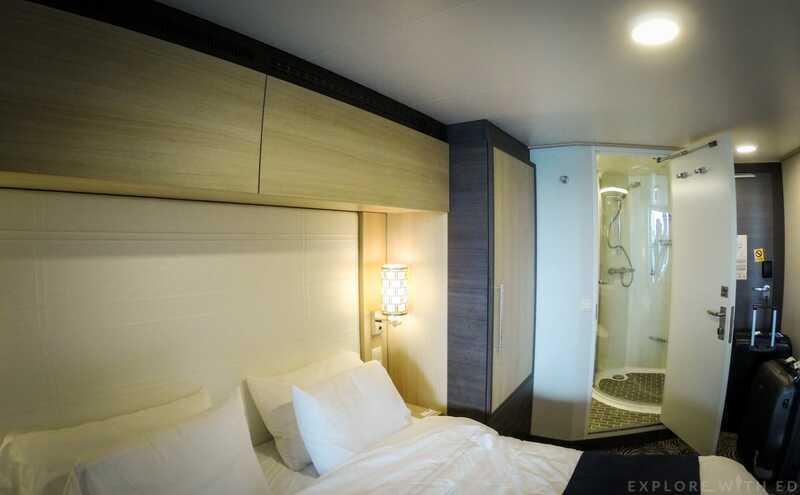 Click here to see more about the Anthem’s staterooms. 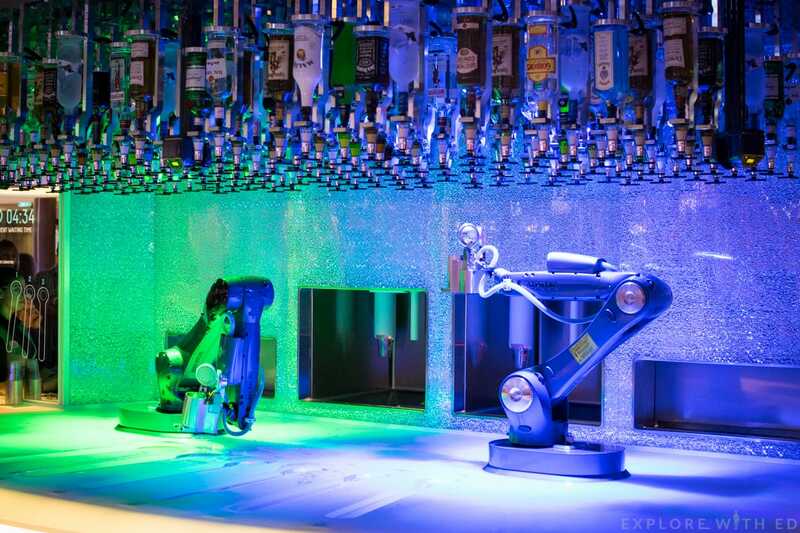 This is just a tease at what you can expect onboard Anthem of the Seas – my enthusiasm for this ship can only be appreciated by trying it yourself. The ship is based in Southampton for it’s maiden season, but will be off to America and beyond come winter. 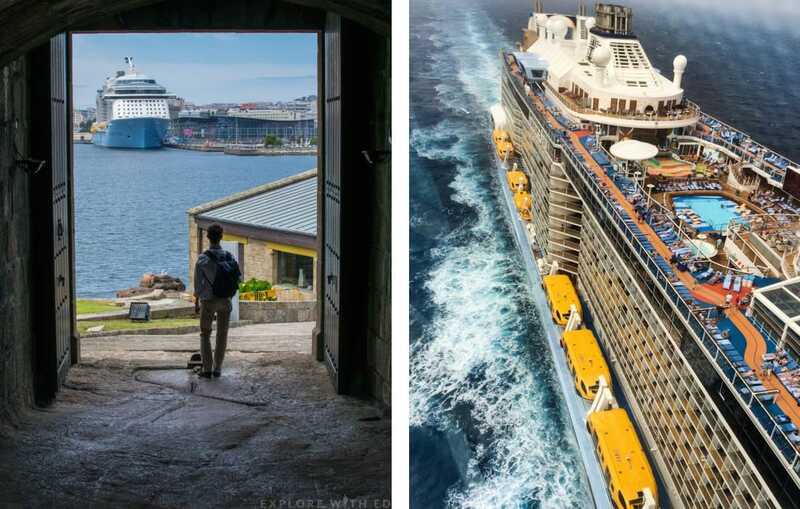 For a ship so big, it never felt overcrowded or hard to navigate around. 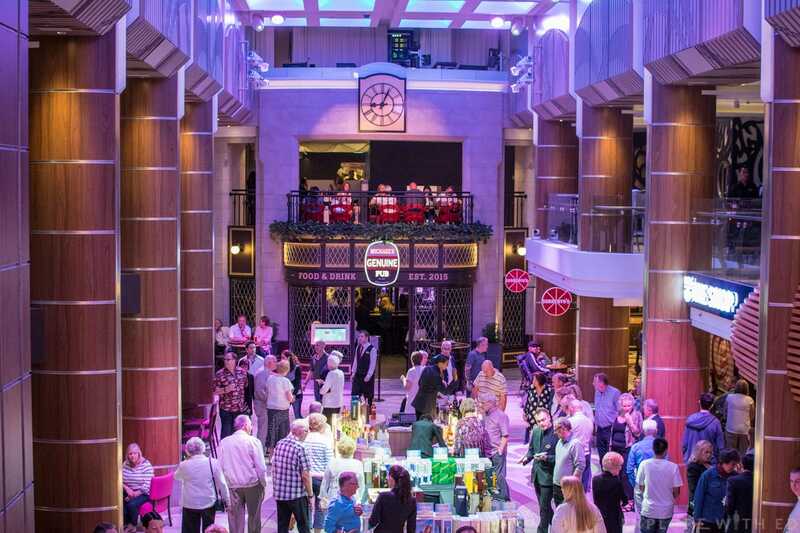 I’d really recommend experiencing this ship while you can – if you’re a first time cruiser or avid cruiser; the entertainment, food and innovative technology brings serious WOW-factor that you’ve never seen or tried before. 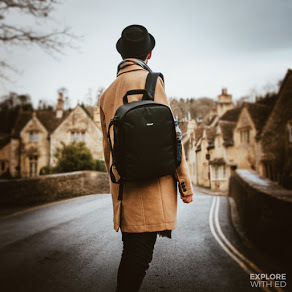 It’s a destination in itself, and yet somewhere in-between experiencing total exhilaration and relaxation you’re able to explore some exciting destinations in Europe. Left: Exploring La Coruña, Spain. Right: View from North Star. 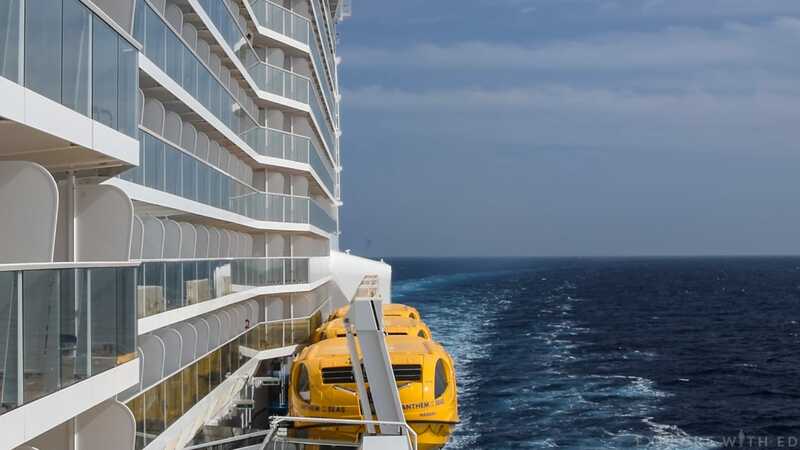 Did Anthem of the Seas live up to all the hype? Well, I’ll say the feature show being “We Will Rock You” makes total sense! Thank you Royal Caribbean, cruise director Joff Eaton and all the staff/crew for an awe-inspiring cruise. 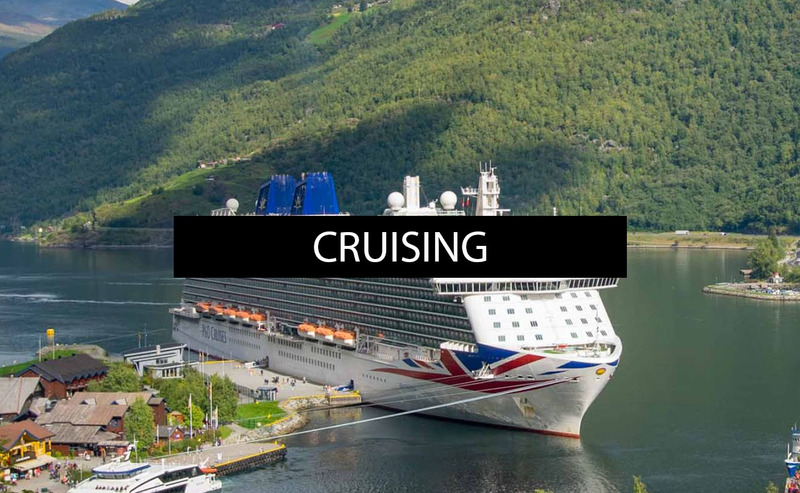 You can also find my ship tour blog and video of P&O’s Britannia (before her maiden voyage) by clicking here.All external links provided for your convenience/my source of information. All info assumed correct at time of publishing in June 2015.